How do I find an Illinois Divorce Lawyer? - If your spouse has expressed wishes of a separation or is considering filing for divorce. - If you believe that a divorce is in your best interest and want to further explore the option. - If you have children or significant assets and can foresee divorce proceedings to be complicated. While Illinois divorce lawyers are available for consultation, you must seek them out in order to benefit from their experiences. When meeting with your divorce lawyer, it will be important that you come prepared to discuss what you want to accomplish with legal representation in regards to your future. A lawyer can only help If he or she knows what you want to do. It will also be necessary that you are ready to discuss the aspects of your marriage that may be embarrassing or hurtful. These meetings can be very emotional so prepare yourself as you see appropriate. Your Illinois divorce lawyer should be prepared for this and will be ready to listen to you. In any event, it is important that you disclose everything. Your lawyer will be held by the rules of confidentiality. Illinois divorce lawyers can be found in all areas of Illinois. You can find their names and locations fairly easily, as most will advertise their services, either in newspapers, phone books, the internet, or even on television. While these are good sources for getting a list of potential lawyers, do not rely on the claims and promises that may be made in them. Instead, use other sources to find out the true experience and abilities of any potential Illinois divorce lawyer. The internet can provide a lot of valuable information, however it can often be difficult to navigate and find this information. Try to search this website to find and compare lawyers in your area. You can also take advantage of asking an attorney feature to get any basic legal information you may require. When you are seeking a divorce or have a divorce filed against you, you do not want to rely on an inexperienced lawyer or one who usually practices in another area of the law. Instead, seek an Illinois divorce lawyer who has specialized in representing clients during their career. It may also help to try to find a specialist who either usually represents husbands or usually represents wives. While the law is supposed to treat both genders equally, it is well known that this is not always the case, so finding a lawyer that fits your needs can only benefit you. When you go to meet with your Illinois divorce lawyer, it is important that you come prepared so that the lawyer can quickly evaluate your situation and get to work helping you. You should bring in any documents that are important to your case, including financial statements, police reports, or any emails or letters you may have. On top of this, you should come prepared with specific information and facts to tell you lawyer. Review names, dates, places, and times of the events that relate to your marriage and subsequent divorce. Preparation of questions can be helpful to both you and your lawyer. Write these questions down so that they are not left out of your discussion. Illinois divorce lawyers must meet the requirements as established by the Illinois state bar. They must graduate from an accredited U.S. law school, meet specific ethical requirements, and finally pass the Illinois state bar examination. Although these are the minimal requirements for practicing law in the state, you should find additional information about the background of any Illinois divorce lawyer before you hire them. Contacting the Illinois state bar can be one step towards finding this information. The State Bar will be able to provide you information about a lawyers credentials and where to find additional information. Use of unbiased outside sources should always be used when evaluating the abilities of any lawyer. Check to see if you can speak with past clients, other lawyers who are familiar with him or her, and any other ways of getting this type of information. Quality Illinois divorce lawyers will have the ability and skills to evaluate your situation and provide several options for you to consider. Once you make a decision, it will be important that your lawyer can quickly and accurately file your paperwork and follow up with any necessary legal work. During this, they will also need to negotiate on your behalf with the other party and their lawyers. 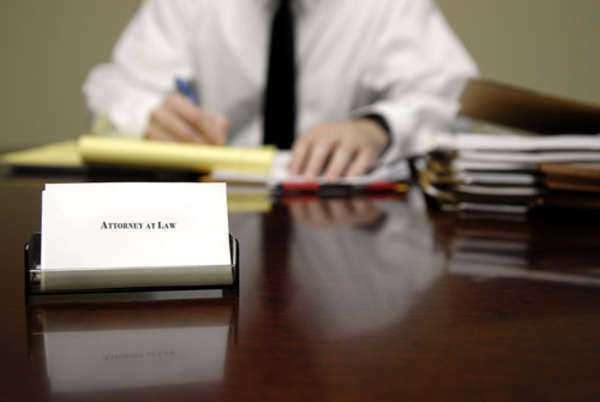 Illinois divorce lawyers will have many contacts within the community, so it is important that they know other lawyers, judges, and court professionals in order to get your case through the proper channels. While most Illinois divorce lawyers are trustworthy and hardworking professionals, always be cautious if you see red flags of inappropriate behavior. Unreasonable fees, failure to make deadlines, and difficulty in being contacted are just some signs that your lawyer is acting in an unethical manner. If these things are happening, it is important that you contact the Illinois state bar quickly in order to protect your rights. Illinois divorce lawyers can charge a variety of fees, which will often depend on their level of experience as well as how much work will be needed to properly file your divorce. You should expect to pay hourly rates of between $100 to $500 an hour for more complicated divorces. For more straightforward divorces, lawyers may charge a Flat Fee, in which you will pay a one time fee for complete representation. These fees can range between $400 to $2000 in Illinois. Always get any fee agreements in writing from your lawyer before hiring them. If you do not understand anything about the fees and expenses, it is very important that you ask questions. What expenses will my divorce cause me? What fees and rates will you charge? Can you work with me on those rates and fees? How long should my divorce take? Do you foresee any issues with my divorce? A divorce lawyer in Illinois will usually work with clients who are filing for divorce under the no-fault rules of the state. This means that these divorces are not filed citing any specific causes but rather because of irreconcilable differences. While getting these divorces approved are usually not an issue, it is not advisable that you seek a divorce in Illinois without a lawyer. There will still be issues for how to divide assets, property, and the custody of children. These battles can take months to sort out and many different negotiations and legal filings by a divorce lawyer. Illinois divorces require knowledge of the procedures and rules, so selection of an experienced lawyer is necessary. Sometimes, it is appropriate that a divorce is filed in Illinois based on fault grounds. This is because no fault divorce in Illinois requires a 2 year legal separation period before the court will approve the divorce. Fault divorce may be used when a divorce needs to be legalized immediately. The following are some grounds for at-fault divorce: If the marriage was invalid due to a previous spouse, adultery during the marriage, willful abandonment by a spouse, drug or alcohol abuse for 2 years during the marriage. Divorce lawyers in Illinois can help you get an at-fault divorce if you need it and qualify under the law. Divorce lawyers in Illinois can also help you if you have legal issues outside of the divorce but still related to your domestic life. Sometimes, spouses going through a divorce may file restraining orders, file criminal charges, or harass the other party. These legal situations may require use of the criminal justice system, but often a divorce lawyer in Illinois will know how to file or defend against these types of legal issues. Consult your lawyer if you are concerned that such issues may arise during your divorce proceedings. Your divorce lawyer can either help you with them or refer you to lawyers who can help.